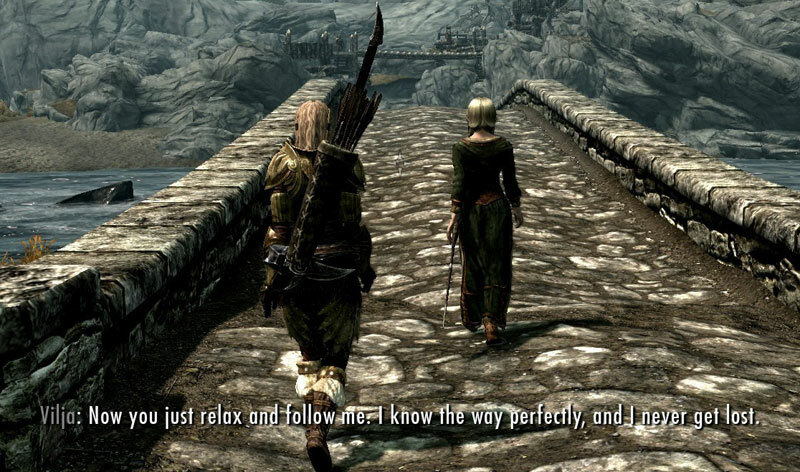 Her great-great-grandmother made success in Oblivion. 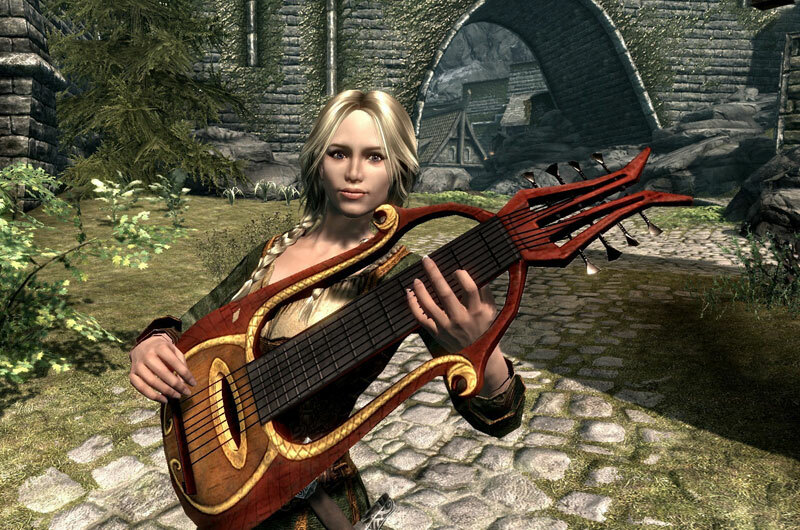 Now the great-great-granddaughter is ready to hit Skyrim! 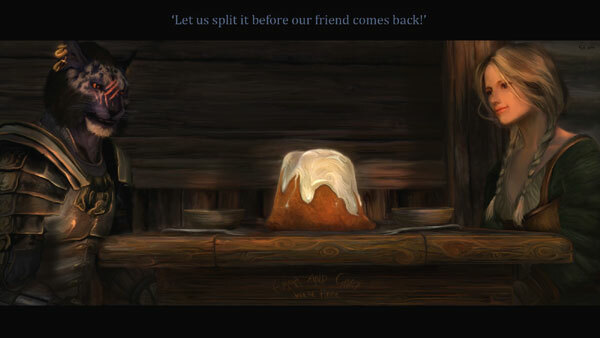 Also features voice acting by SmartBlueCat and his follower character Inigo, with whom Vilja now has full interaction. 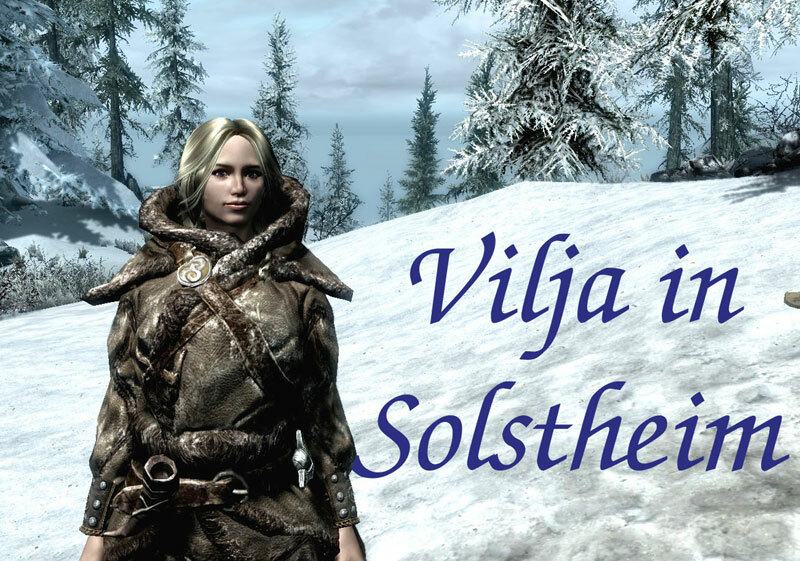 Vilja is a companion mod with quests, rather than a questmod with a companion. So, what is the difference? Well, you should never feel "forced" to play Vilja's quests instead of your own. 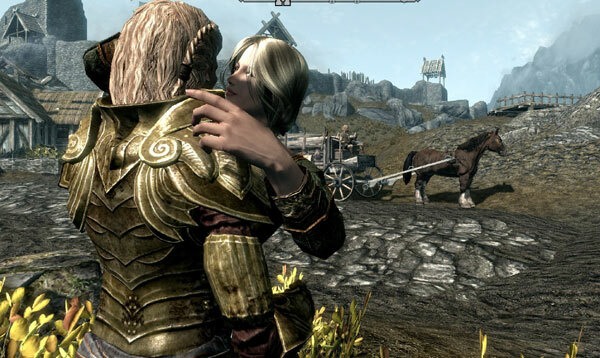 They should be a natural, integrated part of your life in Skyrim, but last for a long time. spells, she starts with only a teleport spell and basic healing. However, this will surely change over time, and she will become more and more proficient. 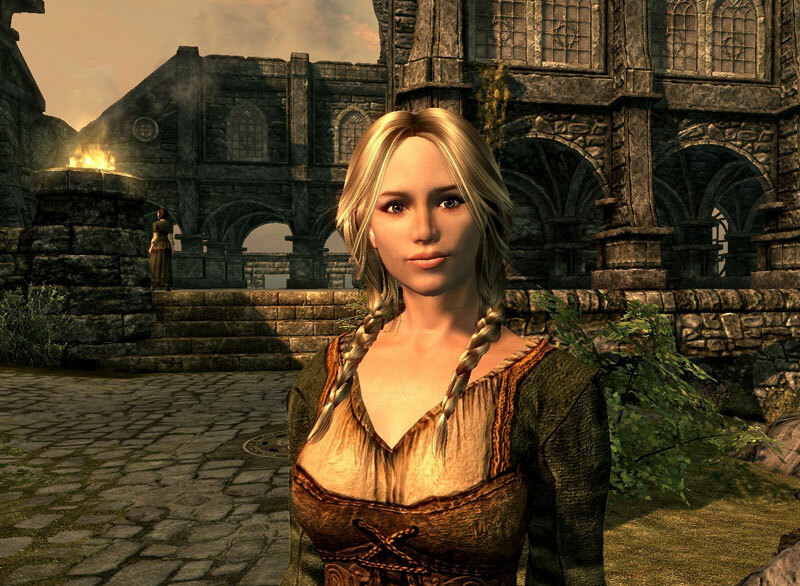 She also has a broad range of other features, and she will certainly change your lonely life in Skyrim, as she is talkative, curious and very unpredictable. - Simple potions. 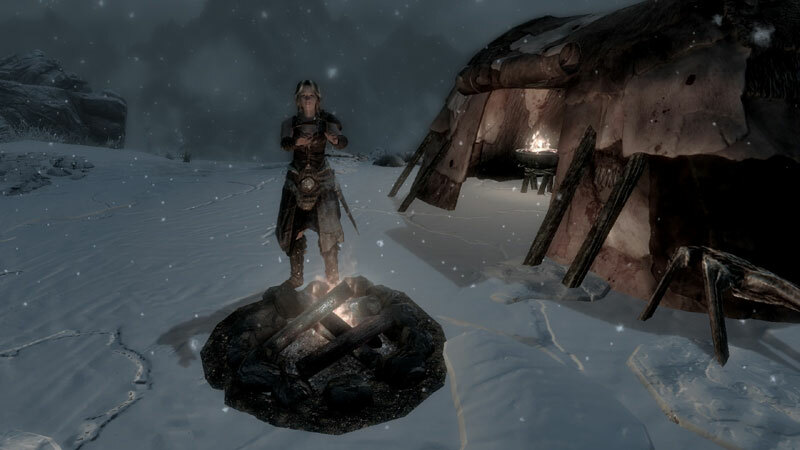 If you can provide one ingredient, Vilja can make simple potions like healing, restore magicka, restore stamina and cure diesease without having access to an alchemy station. She can also learn to make new potions if you give her a recipe. - Playing music with you. with ver 3, Vilja can play music together with you - see change-log for ver 3.0. - Quest-related chatter. Vilja knows what is happening around her, and will, once you have travelled together for a little while, start to comment on some of the vanilla-quests you are doing. This will be further expanded on in later versions. 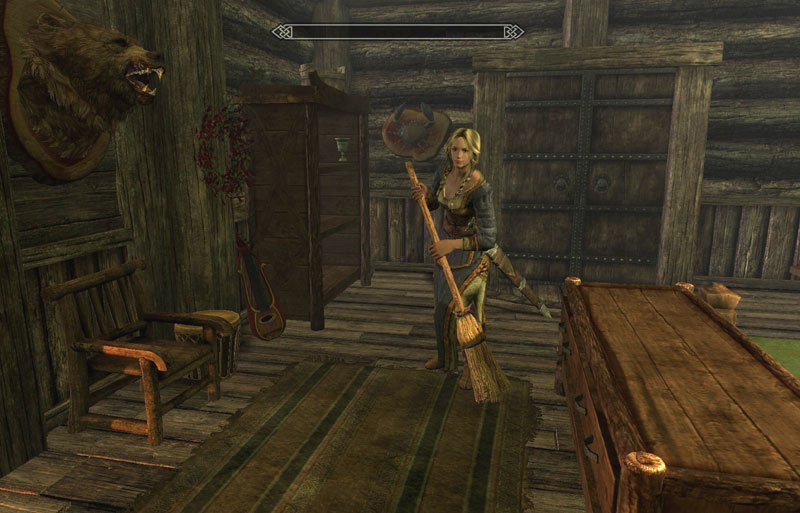 (She is still rather oblivious of what is going on within the Thieves guild and the Dark Brotherhood). 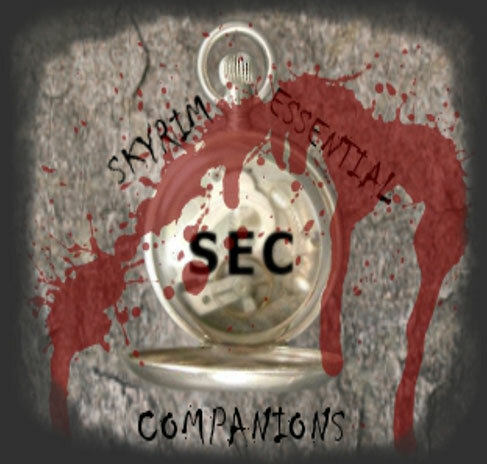 Install: In order to run the mod, the esp as well as the bsa should be placed in your Steam/SteamApps/common/Skyrim/Data-folder. 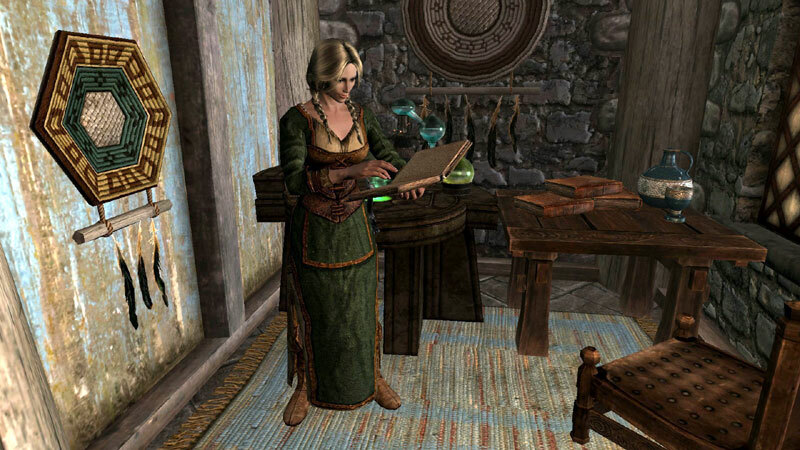 With ver 4, it should be possible to add cosmetical changes to Vilja also before you had got access to her inventory. Uninstall: Just uncheck the Vilja-mod. A script will then auto-shut-down all of her quests. NOTE! 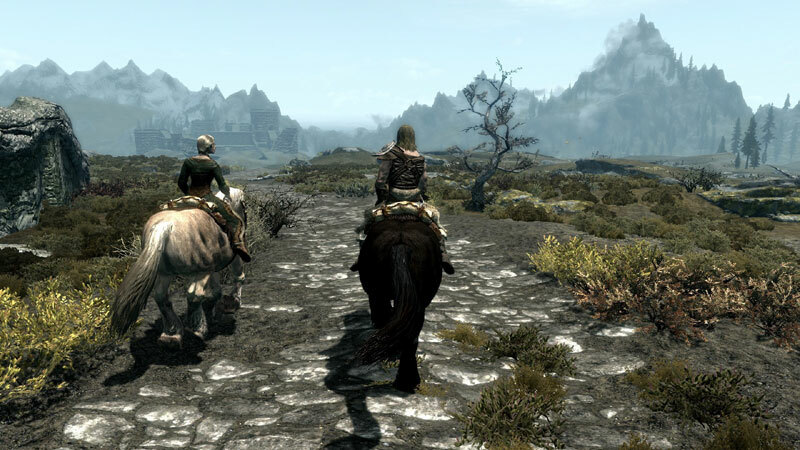 In order to ensure that all features from this mod is shut down, please wait 52 game-hours ingame before re-installing. If you for unknown reasons need to reinstall the mod, you can easy get back to where you were before the uninstall. 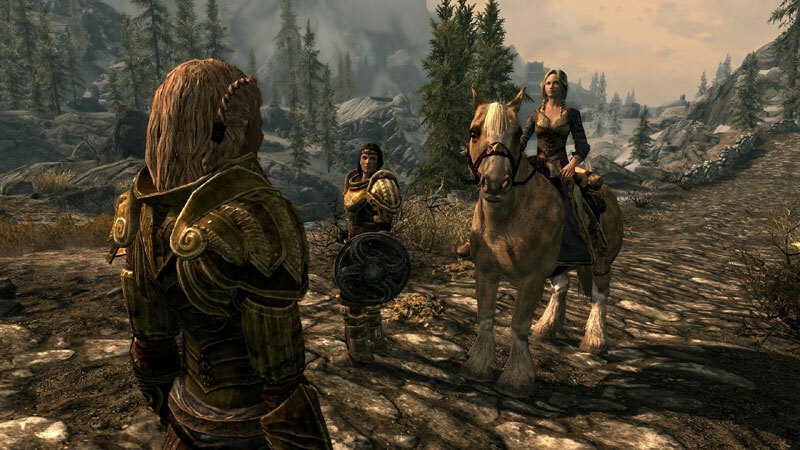 Pick up Vilja at the Bannered Mare, do the very first part of her quest. Then go to the topic Travel Together->Off-topic - Configuration and Settings. Tell Vilja that you have already done some of her quests. 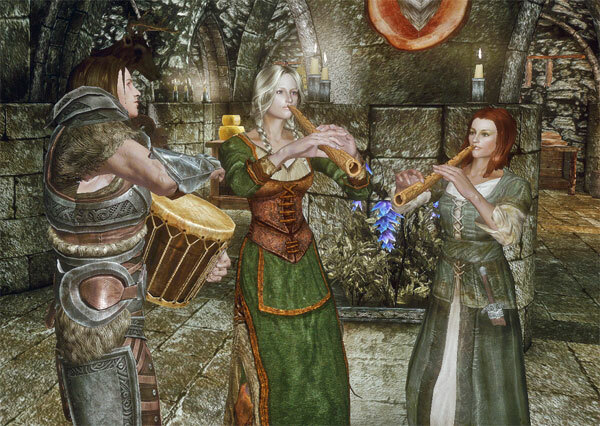 This should bring the npc Beata to the Bannered Mare, and through dialog with her, you can get back on track again. 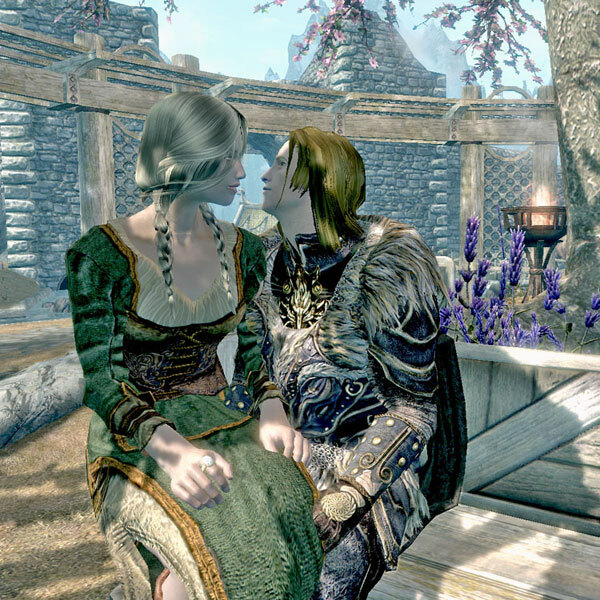 Note that you have to skip a bit back and forth in her dialog, for instance, you have to acknowledge that you have finished Vilja's quests before she gives you the option to state that you are romancing Vilja. Make a back-up save in case anything should go wrong. Replace the esp and bsa. VERY IMPORTANT!!! If you are using any cosmetic change on Vilja that requires a patch esp (alternate faces, unique body etc), you MUST!! disable this before you install the new bsa and esp! Else you won't be able to access her inventory! Go into the game and meet Vilja with her default looks. You will see a message in the upper left corner about "Upgrade to ver 3). After approx 30-90 seconds, you will get a new message that the upgrade is complete. Check that her inventory is working - if you did disable all changes of her, it will work. Now you can save game, exit, enable the cosmetic changes and return to your game. Her inventory should work properly. Also known as “A fix for Chargia”. Sometimes, the formlists in your game can get corrupt, for instance when you are reinstalling Skyrim. If Vilja suddenly stops using her wardrobe system properly, it’s as sign of that this has happened. This fix will cure the formlists related to Vilja’s wardrobe system. Follow the instructions provided in the package. 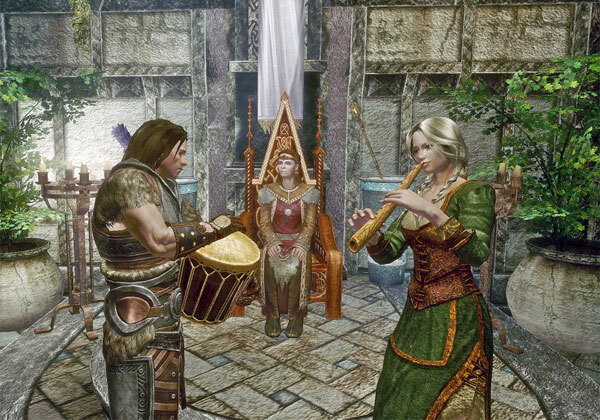 Normally in Hearthfire, as long as you are not married, you talk directly to the children if you want them to move elsewhere. But, once you get married, the children will auto-move when you tell your spouse to move. 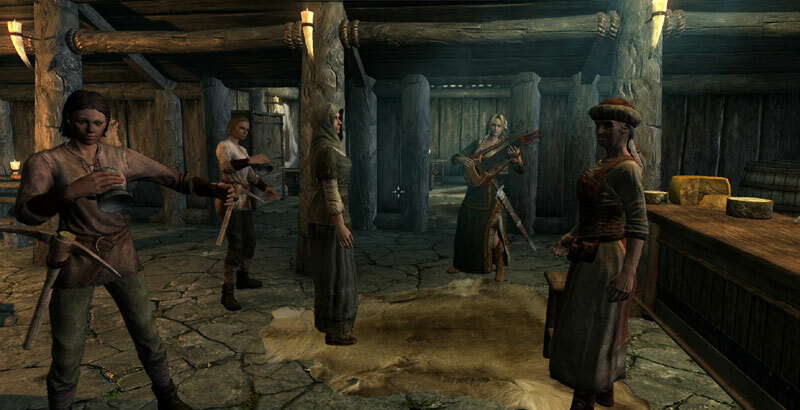 However, as Vilja has her own unique voice and dialog, and as she is independant from Hearthfire, she won't automatically gain the Hearthfire dialog that makes your adopted children move with her to new childfriendly houses. Therefore, in this fix, the children will KEEP their dialog that makes it possible to talk to them directly and tell them where to move. It should be useful also for other spouses with unique voices, but as I consider this a betatest-version, I have simply just uploaded it here on the Vilja-page. Allows you to give Vilja her own unique body. Requires basic to average knowledge of mesh- and texture-files.